I drew the head of this figure without looking. The contour came out pretty good. The rest of the drawing is a combination of blind drawing and regular sketching. 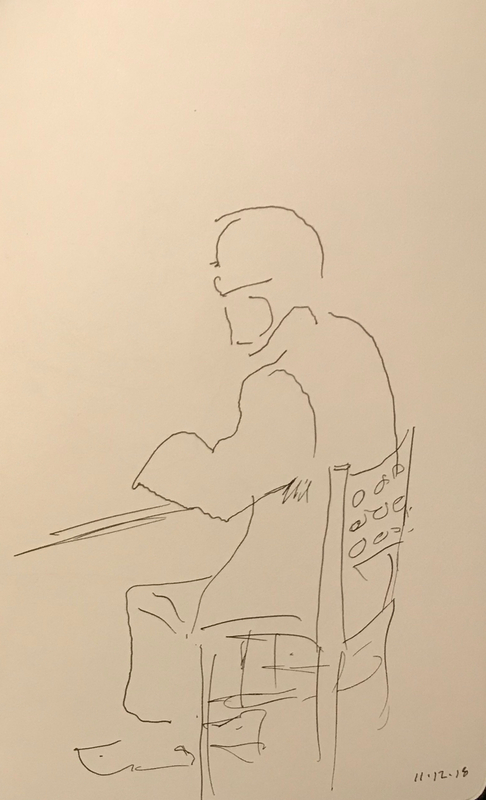 This entry was posted in Personal Stories and tagged art, artistic expression, blind drawing, creativity, drawing, figure, pen and ink, portrait, sketch, visual art. Bookmark the permalink. Thank you Claudia! Very kind of you, and appreciated!